Sean Ivory conducts the Campus Choir at Calvin College. He is also on staff at Forest Hills Central High School and with the North American Choral Company. Sean is a Calvin alumnus and holds a Masters Degree in Choral Conducting from Michigan State University. Sean is also an active composer and arranger with several pieces published through Earthsongs and GIA. 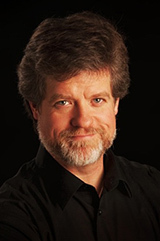 Sean’s music, created collaboratively with Paul Caldwell, has been recorded by the world’s finest choirs and telecast nationwide on PBS and A&E. Recently, they completed new works for performances at Carnegie Hall, the Sydney Opera House, and Orchestra Hall (Minneapolis).